So after my second attempt I was quite disappointed that my quant score dropped so much on the actual test.As you can tell my scores are all over the place. My goal at the moment is a 640+. So i was quite pleased when I got a 630 on the MGMAT practice (which is know at least for quant to be much harder) and a 47 on quant on the 4th GMAT prep test but now they both seem like flukes to me. So far I have gone through all of the Manhattan GMAT Quant books and have watched all the magoosh tutorials for verbal. Is there any advice you guys can give me on what I can do to improve my score on the actual test. It seems like to me that for some reason I can only do relatively well on one section every time I take the test. I am planning to retake the test next month since most of my application deadlines are in mid April. Sorry to hear about your experience. I think you need to solidify you base and adopt a proper technique to answer the questions. I believe you may benefit from taking a GMATPREP course. If you are willing, there are some great GMAT prep companies that can help you with your preparation. For Quant, You can try out the TTP course as it is phenomenal and covers the entire syllabus really well. Plus it has great reviews on GMATCLUB. I must add that if you are particularly looking to discover and improve on your weak areas in Quant; a subscription to GMATCLUB tests is the best way to do that. They are indeed phenomenal and will not only pinpoint your weak areas but also help you improve on them. Lastly I would also encourage you to purchase the GMATPREP QP 1 for some great additional practice. Here is a link that will help you with your decision. GMAC has publicly stated that the Official Score that you earn on Test Day is within +/- 30 points of actual ability. Assuming a similar 'swing' in how your CATs function, your CAT score results going back to the end of February show that you essentially performed the same each time (about 580 +/- a few points); the 630 is an 'outlier' due to the significantly higher Verbal Scaled Score, so unfortunately we cannot assume that you are actually at that 'level.' You handle certain aspects of the GMAT consistently well, but you also make certain consistent mistakes. 1) What is your next Test Date? 2) What are the exact application deadlines that you're facing? 3) Going forward, how many hours do you think you can consistently study each week? You might also choose to purchase the Enhanced Score Report. While the ESR doesn’t provide a lot of information, there are usually a few data points that we can use to define what went wrong (and what you should work on to score higher). If you purchase the ESR, then I'll be happy to analyze it for you. so far i liked Target prep for quant and egmat for verbal. I’m glad you reached out, and I’m happy to help. Given that your score dropped from your practice exam scores, it’s likely that you still have some quant and verbal weaknesses that were exposed on test day. Furthermore, since you scored a Q35/V31, it’s clear that you need to continue to build your GMAT quant and verbal fundamentals to achieve your 640+ score goal. Thus, moving forward, you should follow a linear and structured study plan that allows you to individually learn each GMAT quant and verbal topic, starting with the foundations and progressing to more advanced concepts. This process may take longer than just one month, so you may need to consider pushing your GMAT to a later date and possibly applying in a later round. In any case, here is some advice you can follow to improve your GMAT quant and verbal skills. Let’s say, for example, you are learning about Number Properties. First, you should develop as much conceptual knowledge about Number Properties as possible. In other words, your goal will be to completely understand properties of factorials, perfect squares, quadratic patterns, LCM, GCF, units digit patterns, divisibility, and remainders, to name a few concepts. After carefully reviewing the conceptual underpinnings of how to answer Number Properties questions, practice by answering 50 or more questions just from Number Properties. When you do dozens of questions of the same type one after the other, you learn just what it takes to get questions of that type correct consistently. If you aren't getting close to 90 percent of questions of a certain type correct, go back and seek to better understand how that type of question works, and then do more questions of that type until you get to around at least 90 percent accuracy in your training. If you get 100 percent of some sets correct, even better. Number Properties is just one example; follow this process for all quant topics. Follow a similar routine for verbal. For example, let’s say you start by learning about Critical Reasoning. Your first goal is to fully master the individual Critical Reasoning topics: Strengthen the Argument, Weaken the Argument, Resolve the Paradox, etc. As you learn about each Critical Reasoning question type, do focused practice so that you can track your skill in answering each type of question. If, for example, you get a weakening question wrong, ask yourself why. Did you make a careless mistake? Did you not recognize the specific question type? Were you doing too much analysis in your head? Did you skip over a keyword in an answer choice? You must thoroughly analyze your mistakes and seek to turn weaknesses into strengths by focusing on the question types you dread seeing and the questions you take a long time to answer correctly. As for the third aspect of getting Sentence Correction questions correct, what you do, the main thing you have to do is be very careful. You have to make sure that you are truly considering the structures of sentences and the meanings conveyed rather than allowing yourself to be tricked into choosing trap answers that sound right but don't convey meanings that make sense. You also have to make sure that you put some real energy into finding the correct answers. Finding the correct answer to a Sentence Correction question may take bouncing from choice to choice repeatedly until you start to see the differences between the choices that make all choices wrong except for one. Often, when you first look at the choices, only one or two seem obviously incorrect. It may take time for you to see what you have to see. Getting the right answers takes a certain work ethic. You have to be determined to see the differences and to figure out the precise reasons that one choice is correct. 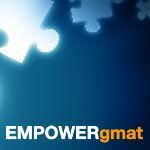 In order to follow the path described above, you may need some new quant and verbal materials, so take a look at the GMAT Club reviews for the best quant and verbal courses. I’m glad you reached out, and I’m happy to help. As mentioned, when you take practice tests from companies other than GMAC, you may find some variation in algorithms used and thus variations in your score. Regarding scoring, since your verbal score is based not only on the number of questions you correctly answer but also on the difficulty of those questions, it’s not possible to say exactly how many verbal questions you must correctly answer to obtain a V40 score. With all that said, are you looking for advice on how to improve your verbal skills?